Jaume Plensa: Private Dreams, Richard Gray Gallery, Chicago, 12 June – 27 September. An exhibition of recent sculpture by the Catalan artist Plensa, featuring eight new works in a range of media, including bronze, glass and volcanic basalt. Coinciding with a new public art installation of four of his works in Chicago’s Millennium Park, which will remain on loan until autumn 2015. Both projects focus on the human figure, specifically the head as a sanctuary for dreams and hope. 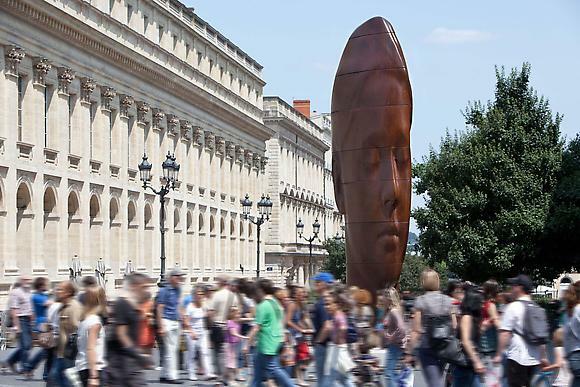 Plensa will also give a free public lecture at the Art Institute of Chicago on June 16 at 6pm. An illustrated catalogue accompanies the exhibition with an essay by Clare Lilley, Director of Programmes, Yorkshire Sculpture Park, UK. This entry was posted in Uncategorized and tagged Chicago, Contemporary art, Exhibitions, Jaume Plensa, Richard Gray Gallery, Sculpture on June 23, 2014 by Clare Hills-Nova.